Maryam Stark The link that is provided to me does not allow me to enter the page and enjoy the discount. Nerissa Hilderbrandt Product deal invalidated, the product is not available, sold out. 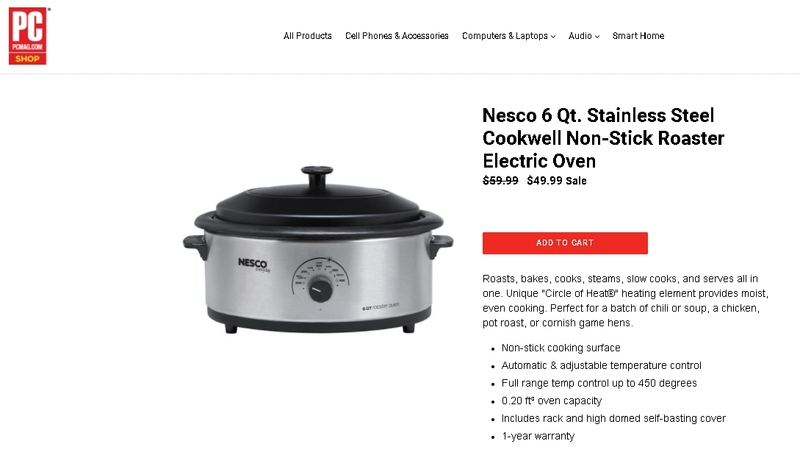 Peter Ssmm Nesco 6 Qt. Stainless Steel Cookwell Non-Stick Roaster Electric Oven for only $49.99. No coupon code necessary. The Prices as marked. devin I am validating that the information on this product is true. Just enter the page on the website and take advantage of this deal. melani I am validating that the information on this product is true. Just enter the page on the website and take advantage of this deal. vicky rojas Nice deal, i hope you take this amazing product for a great price, click the link and enjoy this offer. Lauren Lane This is a great offer and it is true. 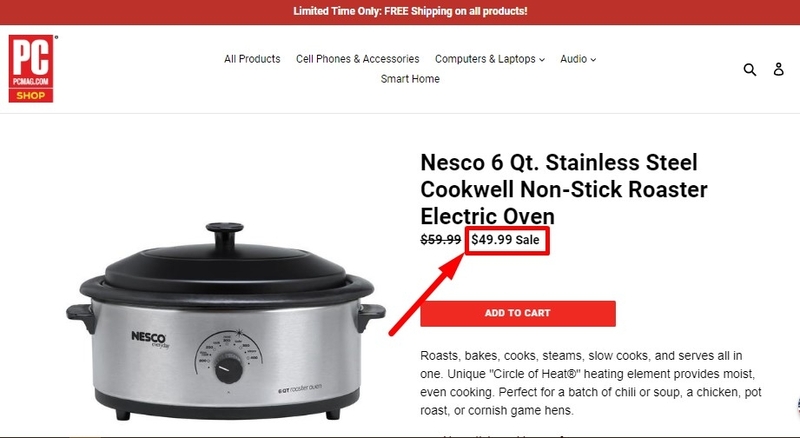 To get this deal, you only have add the item in the shopping cart, go to checkout, and you will receive this product with the best online price. 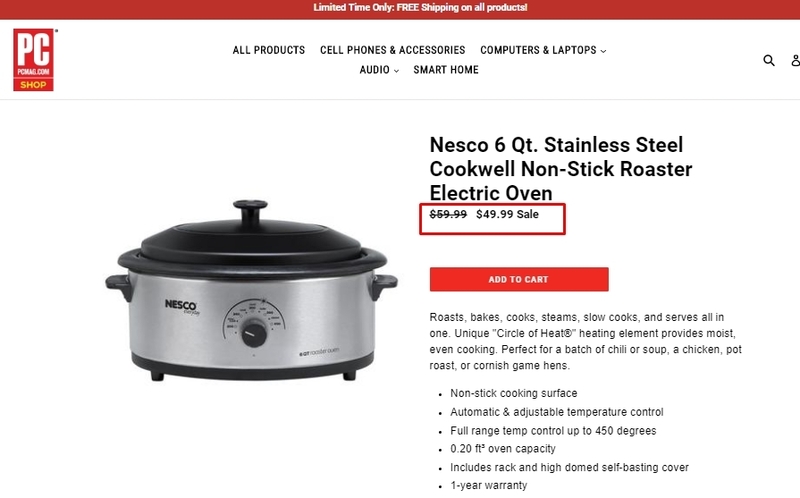 $49.99 Nesco 6 Qt. 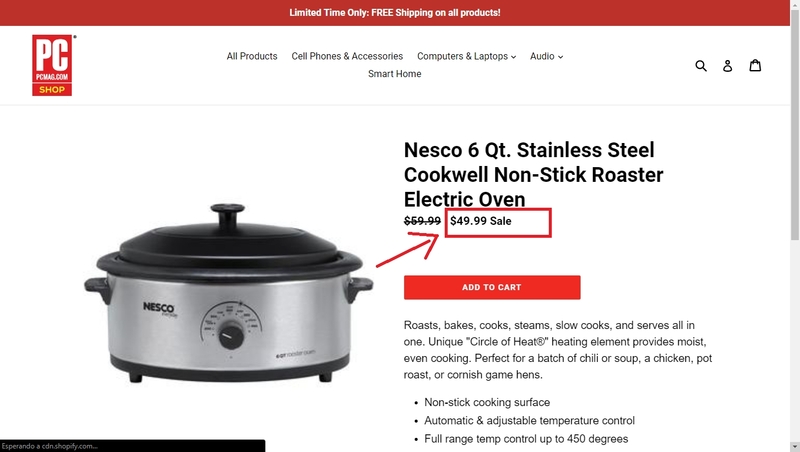 Stainless Steel Cookwell Non-Stick Roaster Electric Oven (vs. $57.41) at PC Mag. Antonio This offer is true. Just open the description link and enjoy the offer.